This textbook is suitable for 2 and 4 year institutions. The text walks students through a detailed description of how models’ assumptions influence their conclusions. Then, students learn how the models connect with the real world. This section encourages students to walk through scenarios related to each concept and idea. Needlessly difficult material is eliminated, while other principles, including the development of the relative supply/demand structure or the presentation of offer curves, are omitted as to not go too deeply into often-confusing topics for students at this level. 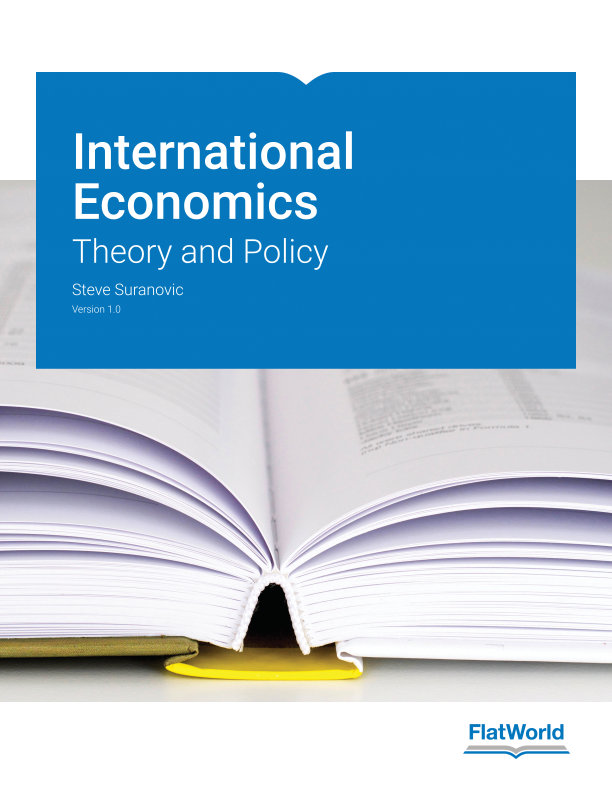 Approaches in this text offer a new way to present the Jones’ magnification effects, a systematic method to teach the theory of the second best, and a unique description of valid reasons to worry about trade deficits. Teaching International Economics? Adopt this college textbook as is or personalize it online at Flat World. Change chapter titles, move content with ease, and delight in how much less your students pay. We publish peer-reviewed textbooks by expert authors. You make them perfect for your course. 24.5 Which Is Better: Fixed Or Floating Exchange Rates?